Very elegant, powder-coated stainless steel design laundry bin. 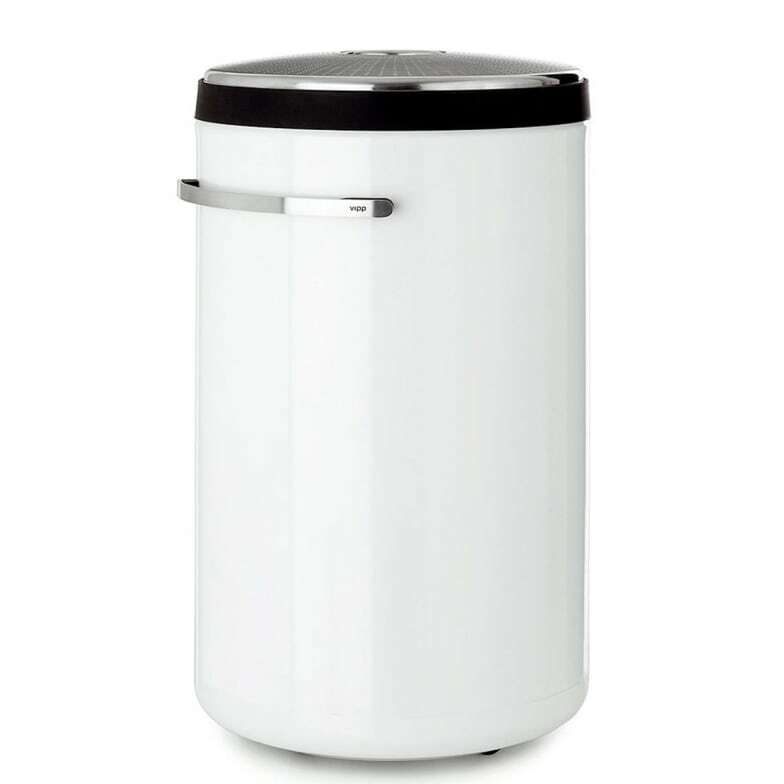 The Vipp laundry basket is manufactured in white or black powder-coated steel and rubber and has soft rounded shapes, which in terms of design, link to the other items in the Vipp collection. The brushed stainless steel lid is perforated, which ensures air circulation for the laundry. The inner liner has two sections so the laundry can be sorted. The liner is removable and machine washable. The laundry basket is also fitted with rubber wheels. The Inner bag can be machine washed at max. 40 °C. Do not tumble dry. Do you have a question about "Vipp 441"? How can we contact you?